The CEM eDCM 330 is a low cost, two-door controller designed to interface third-party read heads with the CEM AC2000 range of access control systems. 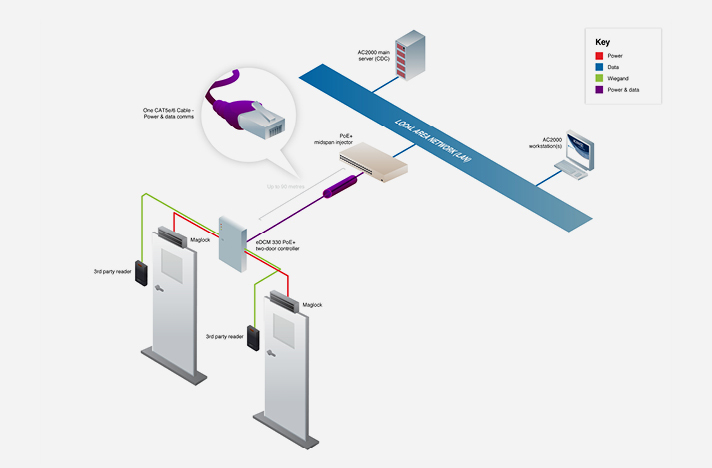 It utilizes Power over Ethernet Plus (PoE+) connectivity and has the benefit of eliminating the need for an external local mains power supply at the door. 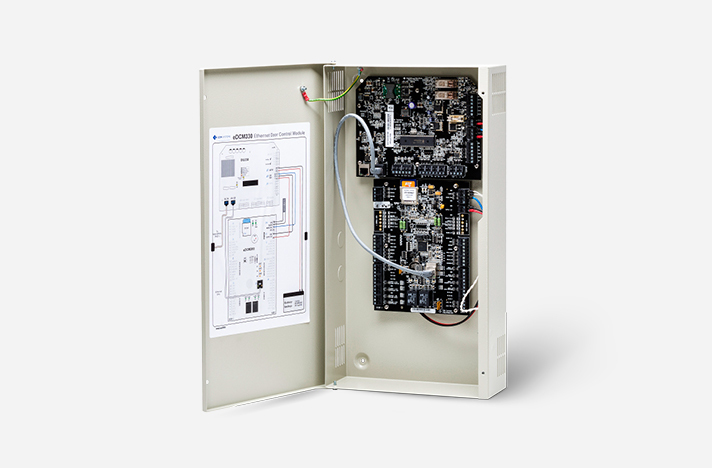 Featuring CEM Power over Ethernet Plus (PoE+) connectivity, the eDCM 330 powers door furniture and two heavy duty maglocks via a single CAT 5e/6 Ethernet network cable, which can offer significant project cost savings.